Posted on November 11, 2015	by Katy K.
I have enjoyed the two previous books in my blogging friend Cheryl Mahoney’s Beyond the Tales series, The Wanderers and The Storyteller and Her Sisters. This is part of the blog tour for her latest book, which I am very much looking forward to reading when I’m done with my Cybils reading. In the meantime, I’m very pleased to have her here today with a guest post on the inspirations behind her new book. I’ll also second the recommendations for all of the books she talks about here – I have read them all myself, most of them more than once! Tarragon isn’t your typical fairy. He scoffs at gossamer wings and he never, ever sparkles. Plus, he’s much more interested in common folk than in anyone wearing a crown. All he wants to do is enjoy good food and good parties, but he can’t quite resist sparring with Marjoram, a typical Good Fairy if there ever was one. Against his better judgment, Tarry becomes the reluctant defender of the ordinary people Marj is trampling underfoot in her efforts to help the royalty. That includes people like Jack, a goatherd stuck on the opposite side of a mass of thorns from his true love Emmy, a maid in Sleeping Beauty’s castle. Or Catherine, who has no desire to marry a very un-charming prince just because her shoe size matches some girl he danced with. Or Anthony, whose youngest sister Beauty got involved with a great and terrible Beast. Tarry has to set down his supper, brush up on his magic and his arguments, and try for once to wrangle some kind of Happily Ever After out of the mess. The inspiration behind The People the Fairies Forget is a very big question—because it’s really asking about the inspiration for the entire Beyond the Tales series. Even though this is the third book to be published, I actually wrote this draft first. So when I started it, I was still figuring out exactly what kind of retellings I wanted to do, and what fairy tale sources I wanted to draw from. I began by going back to the classic versions: the Brothers Grimm and Charles Perrault especially. Neither of them wrote “Beauty and the Beast” though, which brought me to the story by Jeanne Marie Le Prince de Beaumont. I enjoyed reading those stories with an eye towards retelling—exploring the stranger aspects, and noticing just how villainous the Good Fairies could actually be! When I set out to twist the tales, I wanted to twist elements readers would recognize, so I wanted to draw from a sort of broad cultural concept of the stories. Not everyone will be influenced by the same version of Cinderella, of course, but as much as I could, I wanted to get the most widely-known aspects of the story…which brought me to the Disney movies. For better or worse, those are probably the best-known versions! They draw a lot from the same classics I was looking at, and were helpful as source material too for their own particular twists on the stories. I’ve also read many other fairy tale retellings, and there are a handful that I especially consider to be literary ancestors of my own book. Ella Enchanted by Gail Carson Levine is a favorite Cinderella retelling. Levine has a wonderful way of telling a fairy tale that has plenty of magic but still feels set in a very real world, with believable people who have ordinary problems. Ella is cursed to be obedient, which causes her problems from eating too much to always losing races to not being able to run away from ogres. I always try to make my own characters as real as possible, dealing with the problems that would logically follow from the ridiculous fairy tale situations—like what it would really mean for a community if an entire castle, not just a princess, was put to sleep. The Enchanted Forest Chronicles by Patricia C. Wrede has some of the same practical bent, as when Princess Cimorene needs to cook dessert for five dragons (not enough time for cherries jubilee, so she makes chocolate mousse). Wrede also does wonderfully funny things at times with fairy tale tropes, creating characters that are either extreme versions of fairy tale types, or extreme contrasts. My Prince Roderick is the picture of the proper handsome fairy tale prince. He has no idea how to handle it when confronted with Catherine, who accidentally fit into the glass slipper but is not remotely like sweet and helpless Ella. The Rumpelstiltskin Problem by Vivian Vande Velde is a short story collection, with six (very different) versions of Rumpelstiltskin. My favorite part of the book, though, is the introduction, as she explores all the ways the original story really didn’t make much sense. Similarly, I like to expand the stories to explain why people are going about doing such odd things—like trying to find a bride by trying a shoe on every girl in town. Prince Roderick is a very handsome prince, but also hopelessly self-absorbed, so he doesn’t know anything about this girl he’s trying to find—and never manages to remember anyone’s name. Beauty and Rose-Daughter by Robin McKinley both retell “Beauty and the Beast,” although in very different versions. Both highlight Beauty’s family (larger than Disney would have you believe), which also became a big part of my version; Beauty herself only has a small role in my book, with much more focus on her three brothers. McKinley is also a wonderful inspiration simply for how different she made two versions (three, if you count Chalice) of the same story. It really shows how well these stories can be told, and stay interesting many, many times…as long as you have something new to do with them! I hope readers will enjoy my new take on these stories…and recognize the twists on the stories that came before. Cheryl Mahoney is a book blogger at Tales of the Marvelous, and the author of three books based on fairy tales. The Wanderers, published in 2013, follows the journeys of a wandering adventurer, a talking cat and a witch’s daughter. The Storyteller and Her Sisters, retells “The Shoes That Were Danced to Pieces,” with twelve trapped princesses who decided to take control of their story. 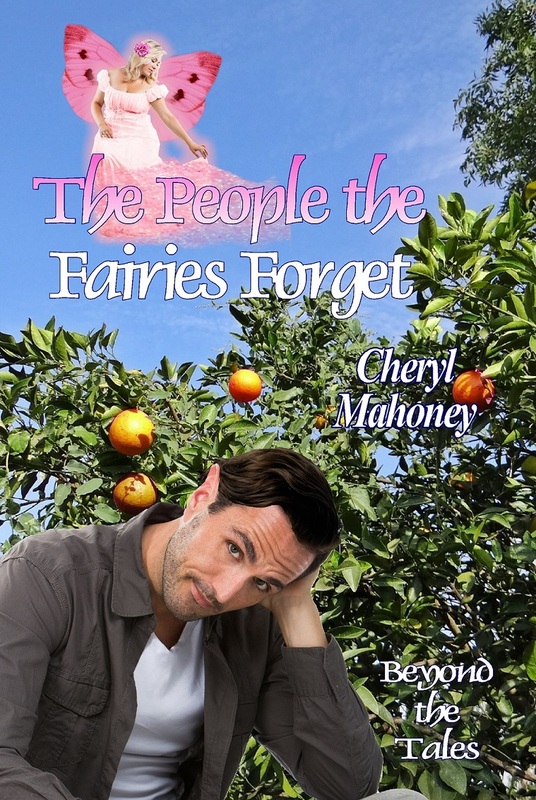 Her latest novel is The People the Fairies Forget. This entry was posted in Books and tagged Cheryl Mahoney, fairy tales, guest post, teen fantasy, youth fantasy. Bookmark the permalink.